Brittany went to school for medical billing and coding and plans to receive her certification in that field. 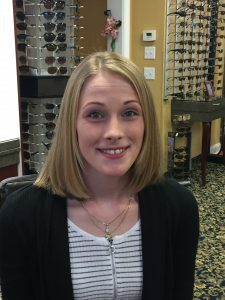 Currently Brittany is responsible to checking patients out, taking payments, booking appointments, and verifying insurance coverage at Emily Eye Care. She is willing to go above and beyond for any of our patients.